The Harley Jae Trust was established in 2006 as a trust fund for our little boy, Harley Jae Blanchard-Rafter. He was born with a very rare neurological condition that left him with profound and multiple learning difficulties, severe epilepsy and physically disabled. 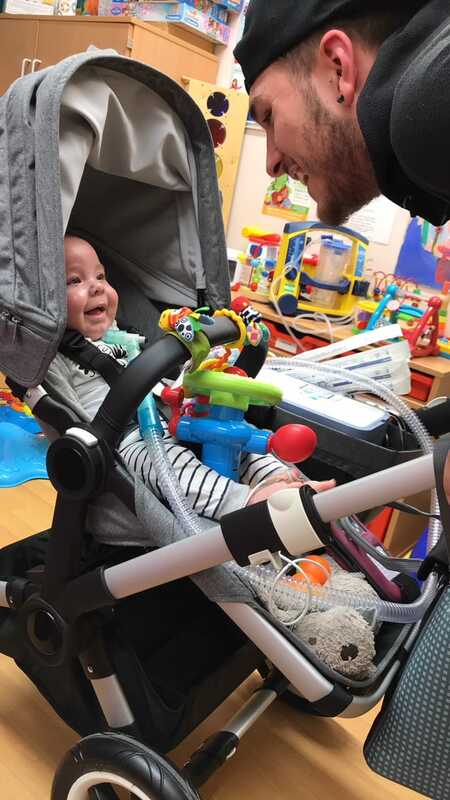 Harley’s condition meant that he needed high level medical care, therapy treatment and equipment to give him the best possible opportunity to thrive and maintain a good quality of life, which is an on-going battle for children with life limiting and life changing conditions and their families. Having access to services and equipment is vital. Ventilators, CPAP machines, suction machines, specialist beds, standing frames and wheelchairs are very expensive, and the growing need for such equipment is continuing to put pressure on the budgets of local statutory bodies. This means that accessing equipment can sometimes be a battle for the families and professionals. Harley and his family faced this challenge and it was for this reason that Teresa Blanchard, Harley’s grandmother, set up a trust fund to try and raise money to buy a specialist wheelchair that Harley needed to help with his physical development. Eventually the trust had been able to provide Harley with all of the vital equipment he needed, including a specialist profiling bed that was bright and colourful which Harley loved. As well as equipment the trust funded a trip to Disneyland Paris and a trip to Florida to swim with dolphins. On February 22nd 2013, Harley Jae sadly passed away at the age of 7. Reaching this age was a result of a combination of things including the love he was surrounded by, the outstanding health care he received, and also the equipment he was lucky enough to access. In Harley’s memory, the trust has now become a registered charity with an aim to be able to provide vital equipment for children with life limiting and life changing conditions. The trust also make donations to services such as schools, hospital wards and children’s hospice’s.